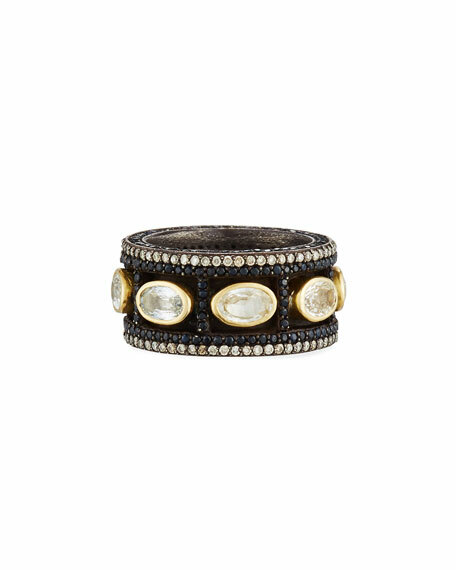 Armenta band ring from the Old World Collection. 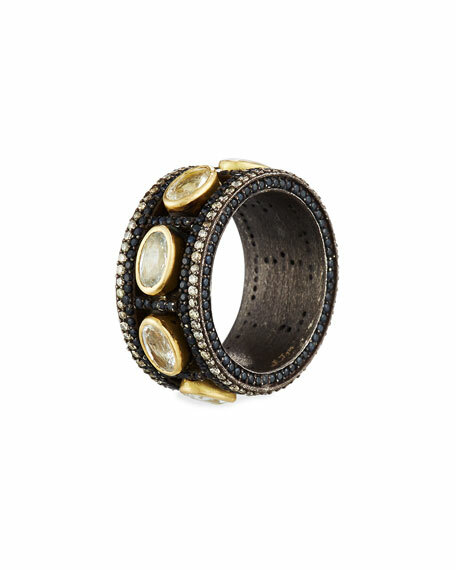 Blackened sterling silver with 18-karat gold accents. Faceted, bezel-set oval white sapphires. Pavé champagne diamonds trim top and bottom. 0.72 total diamond carat weight.